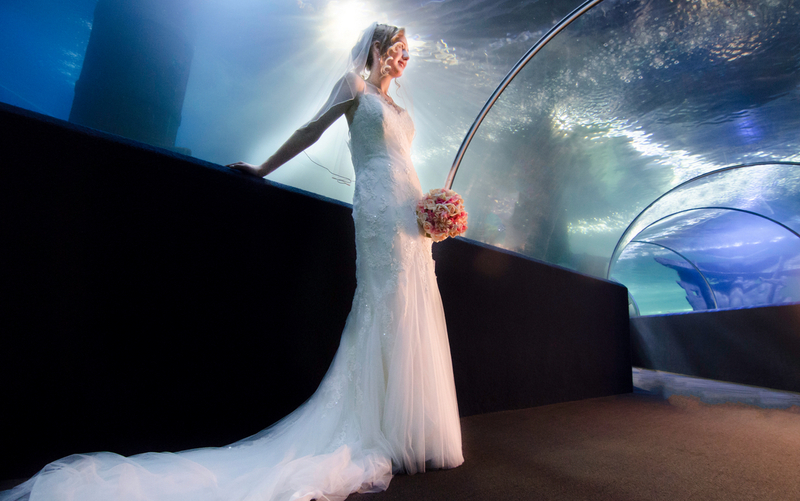 Imagine saying “I do” in front of our 230,000 gallon Shark Exhibit. Your backdrop will be sharks, stingrays, angelfish and many more species of aquatic life. Celebrate your wedding day with us at the Greater Cleveland Aquarium Wedding Venue . It is the perfect setting for a small, intimate ceremony of up to 75 guests. 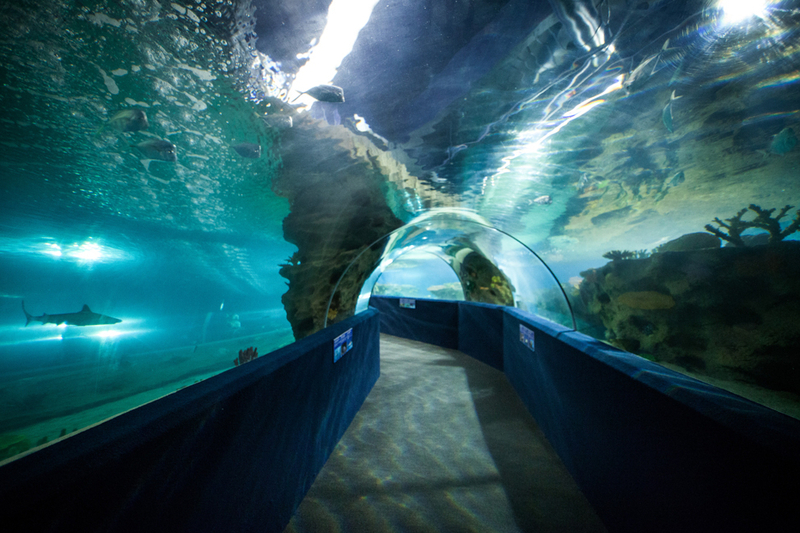 Walking down the aisle will be a truly unique experience when you walk through our 175 foot underwater SeaTube. We have other locations available as well. 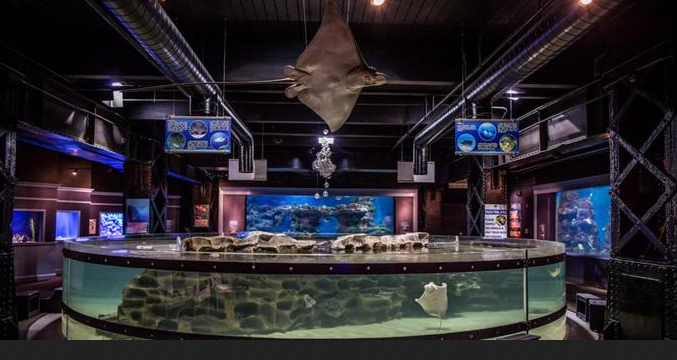 Our Coastal Gallery is home to stingrays in an 11,000 gallon exhibit, with an octopus and live coral around it. Our Ohio Gallery also features a forest atmosphere with decorative trees and rock. Take a walk through the aquarium and see what space is right for you.